An electrostatic generator or electrostatic machine, is a mechanical device that produces static electricity, or electricity at high voltage and low continuous current. The knowledge of static electricity dates back to the earliest civilizations, but for millennial it remained merely an interesting and mystifying phenomenon, without a theory to explain its behavior and often confused with magnetism. By the end of the 17th Century, researchers had developed practical means of generating electricity by friction, but the development of electrostatic machines did not begin in earnest until the 18th century, when they became fundamental instruments in the studies about the new science of electricity. Electrostatic generators operate by using manual (or other) power to transform mechanical work into electric energy. 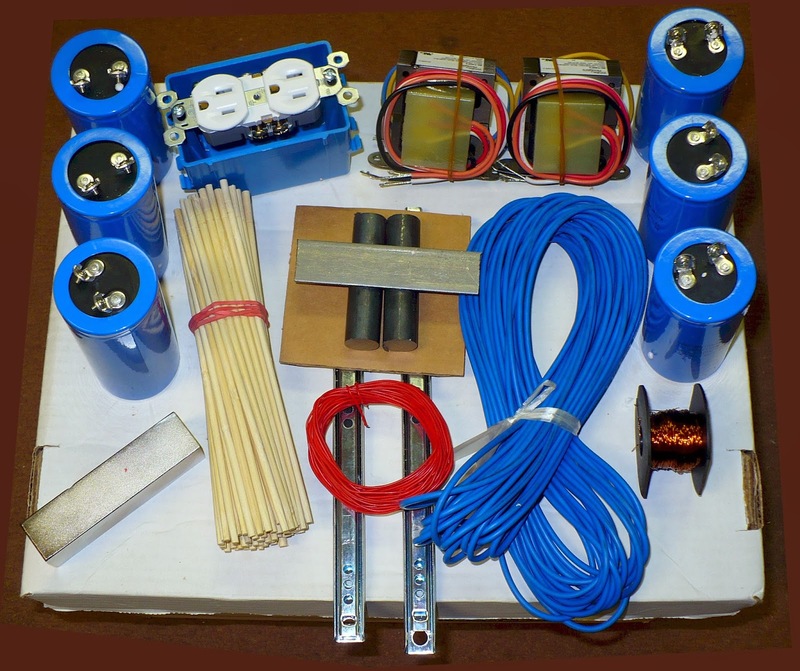 Electrostatic generators develop electrostatic charges of opposite signs rendered to two conductors, using only electric forces, and work by using moving plates, drums, or belts to carry electric charge to a high potential electrode. The charge is generated by one of two methods: either the triboelectric effect (friction) or electrostatic induction. Electrostatic generators had a fundamental role in the investigations about the structure of matter, starting at the end of the 19th century. By the 1920s, it was evident that machines able to produce greater voltage were needed. The Van de Graaff generator was developed, starting in 1929, at MIT. The first model was demonstrated in October 1929. The basic idea was to use an insulating belt to transport electric charge to the interior of an insulated hollow terminal, where it could be discharged regardless of the potential already present on the terminal, that does not produce any electric field in its interior. The idea was not new, but the implementation using an electric power supply to charge the belt was a fundamental innovation that made the old machines obsolete. The first machine used a silk ribbon bought at a five and dime store as the charge transport belt. In 1931 a version able to produce 1,000,000 volts was described in a patent disclosure. Nikola Tesla wrote a Scientific American article, "Possibilities of Electro-Static Generators" in 1934 concerning the Van de Graaff generator (pp. 132–134 and 163-165). Tesla stated, "I believe that when new types [of Van de Graaff generators] are developed and sufficiently improved a great future will be assured to them". High-power machines were soon developed, working on pressurized containers to allow greater charge concentration on the surfaces without ionization. Variations of the Van de Graaff generator were also developed for Physics research, as the Pelletron, that uses a chain with alternating insulating and conducting links for charge transport. Simplified Van de Graaff generators are commonly seen in demonstrations about static electricity, due to its high-voltage capability, producing the curious effect of making the hair of people touching the terminal, standing over an insulating support, stand up. Between 1945 and 1960, the French researcher Noël Felici developed a series of high-power electrostatic generators, based on electric excitation and using cylinders rotating at high speed and hydrogen in pressurized containers.